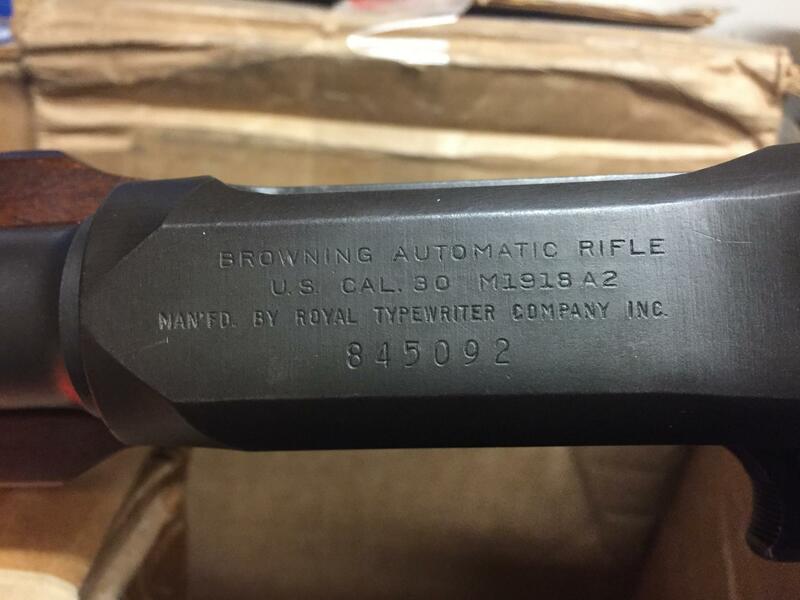 SELLING A WWII VINTAGE POST 86 DEALER SAMPLE M1918 A2 ROYAL TYPEWRITER COMPANY BAR FULL AUTO 30-06. THIS IS A POST 86 DEALER SAMPLE AND WILL REQUIRE A SOT AND LAW LETTER TO PURCHASE. PRICE IS $10,500. PLEASE CONTACT ME AT WABRAMS@SGC-SCOTTSDALE.COM FOR ANY QUESTIONS.